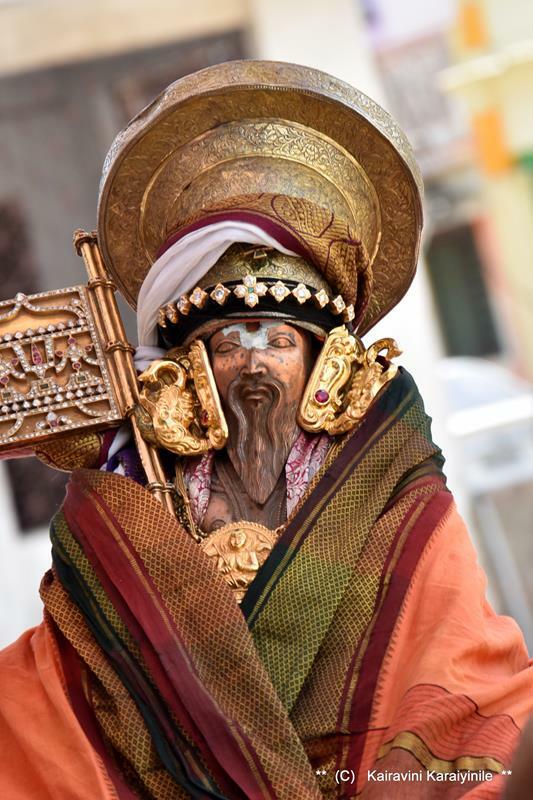 'மாசி மிருகசீர்ஷம்' - திருக்கச்சி நம்பிகளின் அவதார திருநாள். 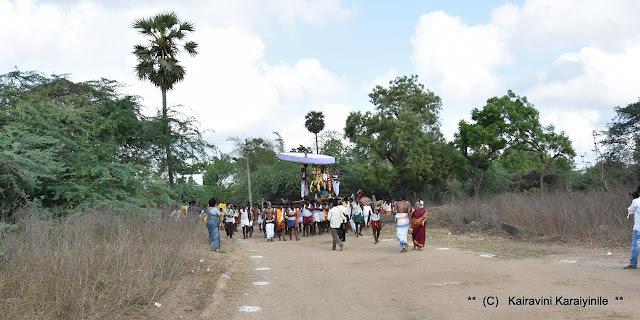 திருக்கச்சி நம்பிகள் - எம்பெருமானாருக்கு ஆசார்யர் ஆவார். இவர் சௌம்ய வருஷம், 1009 ஆம் ஆண்டு, வைசிய குல திலகரான வீரராகவருக்கும் கமலைக்கும் அவதரித்தார். இவரது அவதார ஸ்தலம் : பூவிருந்தவல்லி. சென்னையில் இருந்து பெங்களூர் காஞ்சிபுரம், ஸ்ரீபெரும்புதூர்,திருவள்ளூர், திருப்பதி செல்லும் மார்க்கத்தில் இந்த ஊர் உள்ளது. இவ்வூர் தர்மபுரீ என்றும் புருஷமங்கலம் என்றும் பெயர் பெற்றிருந்தது எனவும் திருக்கச்சிநம்பிகள் திருநந்தவனம் வைத்த காரணத்தால், பூவிருந்தவல்லி எனும் பெயர் பெற்றது. பூந்தமல்லி பேருந்து நிலையத்துக்கு மிக அருகில் உள்ள ஸ்ரீவரதராஜ பெருமாள் கோவில் திருக்கச்சிநம்பிகள் சம்பந்தப்பட்டது. புராதானமான இக்கோவிலில், திருக்கச்சி வரதராஜர், ஸ்ரீரங்கம் ரங்கநாதர், திருப்பதி ஸ்ரீநிவாசர் என மூவரும் சந்நிதி கொண்டுள்ளனர். இங்கே உள்ள தாயார் திருநாமம் : புஷ்பவல்லி தாயார். திருக்கச்சி நம்பிகள் அவதரித்த ஆயிரமாவது ஆண்டு 2009ஆம் ஆண்டு விமர்சையாய் கொண்டாடப்பட்டது. Chennapatnam which is set to celebrate its birth in August, presents different flavours in different places. In what is commonly known as Parrys area, there is the Pookkadai [flower bazaar] nearer Kothawalchavadi [once the vegetable hub] – and it was from here vegetable would be bought as it would be cheaper when bought in bulk quantities. On one side is Sowcarpet touted as little North India, an old neighbourhood, having age old buildings and marriage halls in narrow bylanes. Have read that trams used to ply in NSC Bose road in those days when it was known as Chinna bazaar [there is also the Rattan bazaar, Evening bazaar, Burma bazaar] It was the hub of many activities – besides the mofussil bus stand, there was the Kothawalchavadi, the vegetable market; flower market at Badrian street, clothes at Godown Street, dry fruits and pulses at Govindappa Naick st, Devaraja mudali St for turmeric, kumkum, glasses, essences and perfumes; many jewellers nearer those twin pagodas of Chenna Kesava Perumal Kovil and Chenna Mallesswarar temple – Sri PrasannaVenkateswarar temple [famously Bairagi Mutt]; Kanda Kottam and more. Sowcar comes from the Hindi word sahukaar, meaning merchant or banker. A couple of centuries ago, this place flourished with diamond, pearl trade too. Poonamallee the place on way to Sriperumpudur, Kanchi, Bangalore, Thirumazhisai, Thiruvallur, Tirupathi is too well known to travellers. 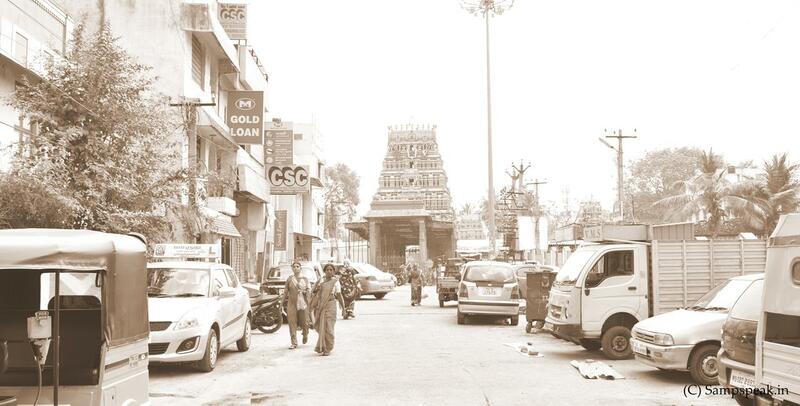 Near the main bus stand at Poonamallee is the temple of Lord Varadharaja whose consort is Pushpakavalli, who gave this place the name ~ and this place is more significant to us for its attachment to our Acharyar who lived 1000 years ago and who had a great role in the life of our Greatest Acharyar Sri Ramanujar. 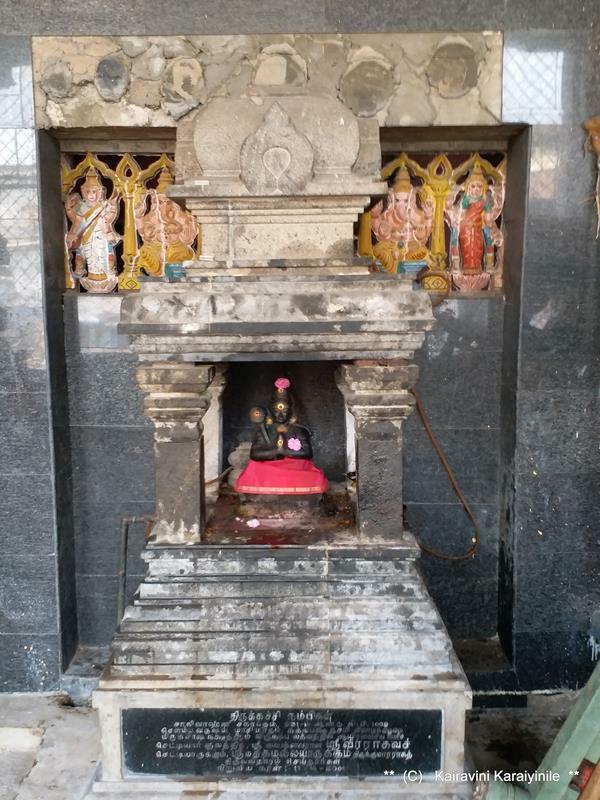 Acharyar Thirukachi Nambigal was born in ‘masi mirugaseerusham’ at this place to Sri Veeraghavachettiyar and Kamalai. He was the disciple of Aalavanthar and had association with Thirukoshtiyur Nambigal too. 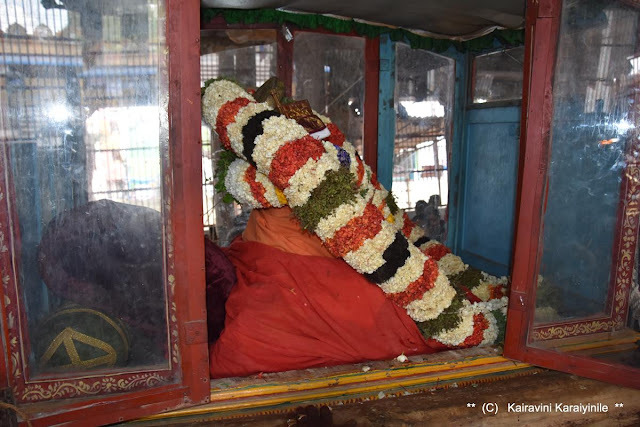 Thirukachi Nambigal is reverred for his devoted committed service of ‘thiruaalavatta kainkaryam **– (service of providing comfort – directing air by handfan) to Devathirajar, the Lord at Thirukachi. Nambigal is reverred as acharyan of Swami Ramanujar. In the Kaliyuga, Nambigal was blessed that Sri Perarulalar spoke to Nambigal in person and through him, Devathirajar gave message of ‘Six words’ to Ramanuja – of which ‘Aham Eva ParamThatvam’ – Lord Sriman Narayana is Supreme is the first message. ‘Upayam prapthi’ – accept ME as the sole refuge is another. This temple dates back to 10th century of Paranthaka Chozha with inscriptions mentioning it as ‘puliyurkottampoonthamallee’. 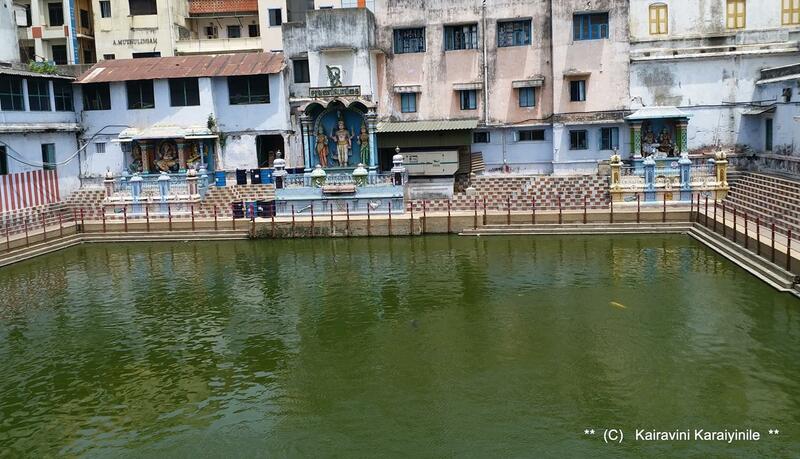 It is from here, Nambigal visited Lord DEvathiraja of Thirukachi doing floral and ‘aalavattam’ service. Thirukachi nambigal was also known as Kachipurnar and Gajendra dasar.. our Emperumanar upon returning abruptly from Varanasi (escaping the attempt on his life) became attached to Thirukachi nambigal, a disciple of Alavandhar. Udayavar wanted to become his disciple of the great person who conversed with Devathirajar. Sri Muthukumaraswamy Devasthanam popularly Kandaswamy temple or KandaKottam lies just a furlong and half from the Madras Central Railway Station. The temple’s history dates back to many centuries. 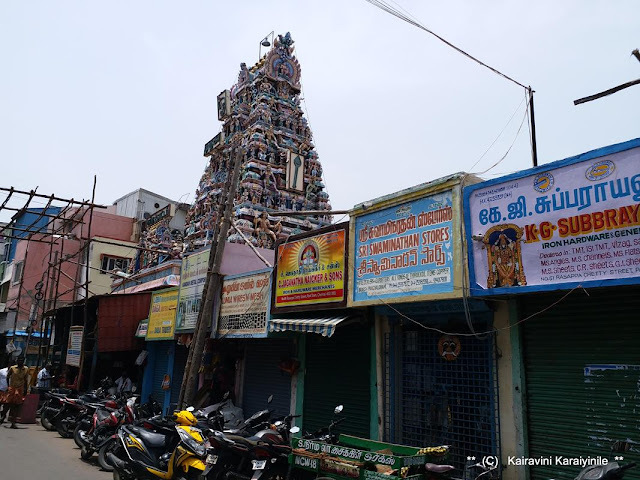 In the seventeenth century there were two ardent devotees of Lord Muruga - Thiru Mari Chetty and Thiru Kandapandaram, who used to visit Thiruporur Sri Kandaswamy Temple and guided by divine interference, this temple at Sowcarpet was constructed by the Maari Chettiar in the 1670s. 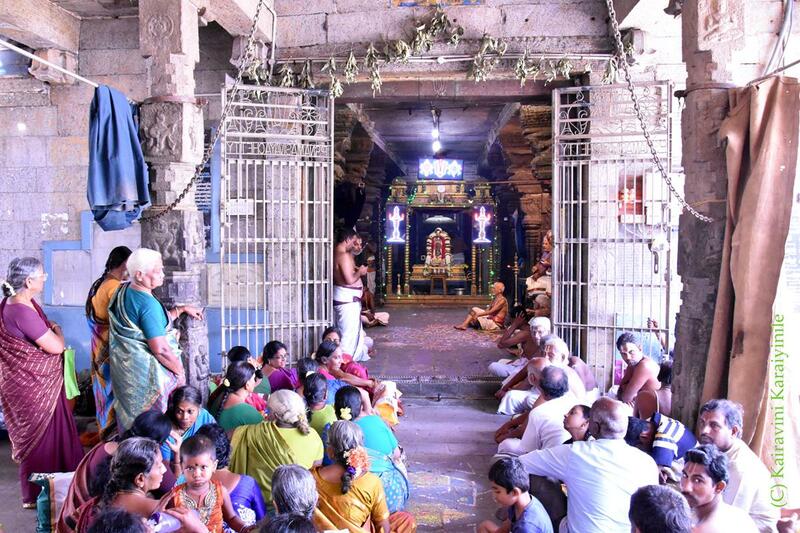 It has seen many renovations, and has a big temple tank called 'Saravana Poigai.' According to the stone inscriptions in the temple, the moolavar vigraham (main idol) of Murugan in this temple was discovered and brought from a tank bund near Thiru porur Sri Kandha Swāmi Temple. The morning of 17th Apr 2018 would remain etched in my memory – on that day, had the fortune of visiting Sriperumpudur ~ the avatara sthalam of Swami Ramanujar on a very significant day. The mada veethis wind lengthily at this divine place – yet, on day 6 of uthsavam, Acaryar purappadu extended miles on the Bangalore highway. I had darshan of Swami Ramanujar at place a few kilometers away from the Temple and this was termed as ‘Delhi purappadu’.. .. .. confounding !! – more as I was to have darshan of Swami Ramanujar astride a horse wearing white robes. 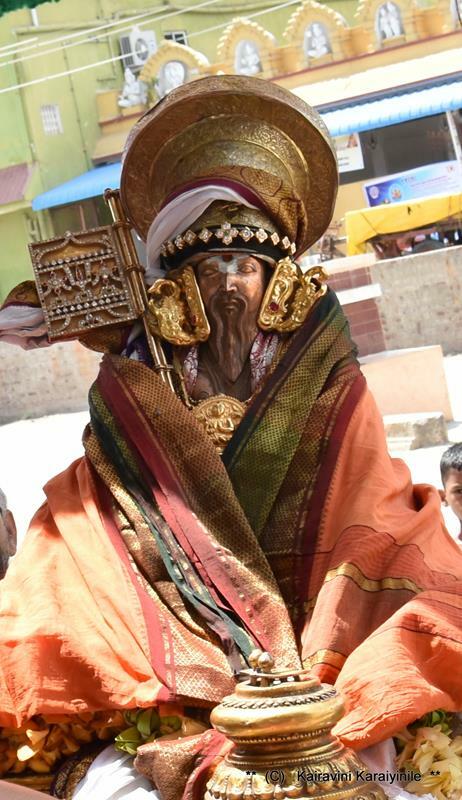 Yathiraja, the King of all hermits wearing while and not the saffron associated with Yathis ~ the answer lies in a sad story which gets enacted on 6th day of Acaryar Avathara uthsavam – and alongside this journey gets associated an ancient and beautiful town variously known as Yaadusaila, Yadavagiri, Gomanta, Bhuvaikuntha, Narayanadri, Jnanamantapa, Daksina Badarikasrama … more popularly Melukote Thirunarayanapuram ~ the place where our greatest Acharyar lived for 12 years – the yatra, albeit not a very happy note of its origin. While I have been having darshan of Yathiraja ‘Vellai Sarruppadi’ at Thiruvallikkeni for very many years now and have been posting on that sad incident too ! 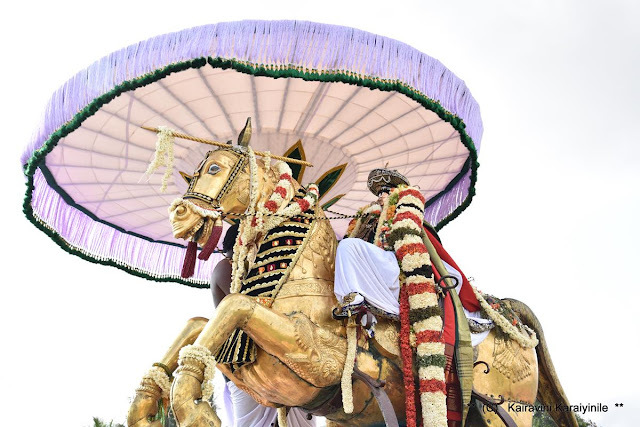 # Sriperumpudur was more unique, besides the King of all Sages donning white, His disciple Koorathazhwan donned ‘kashayam’ and had purappadu in a closed palanquin. 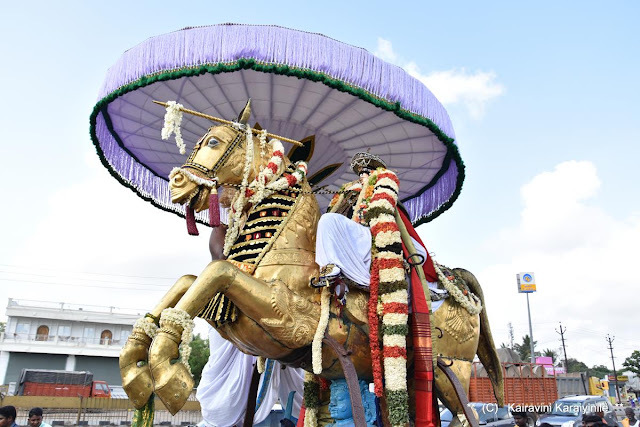 On the 6th day of the Uthsavam, in the morning, Sri Ramanujar gives darshan astride a horse adorning pure white silk dress. The 6th day celebration is known as “Vellai Sathupadi” a symbolic tradition when our Great Acharyar dons white garment and is seen without tridandam. Symbolic of the travail and travel that Ramanujar had to undertake donning the dress of a ‘grahastha’ instead of his reverred kashaya. History has it that Chozha king Kulothunga ordered Acharyar to subscribe to the view of prevalence of Shiva; Kuresar donned the orange robes of Sanyasi, visited the court of the King and had his eyes plucked out; Periya Nambi lost his life.. ! 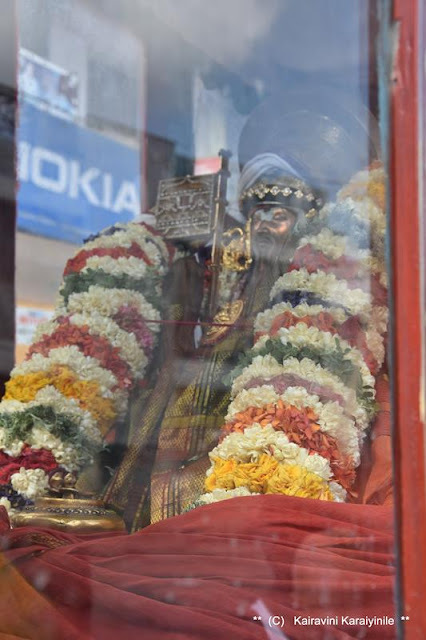 Swami Emperumanar travelled along the course of river Kaveri, went out of Cholanadu adorning white dress and went places traversing Kongu nadu, reached Thondanur, where he constructed a huge lake; thence reached Melukote (Thirunarayanapuram) in Mandya district, where he performed many religious discourses and brought in disciplined ways of temple management. More was to happen as Udayavar travelled to Delhi to the Court of Delhi sultan where the uthsava vigraham of "Ramapriyan" had been taken by the muslim ruler. 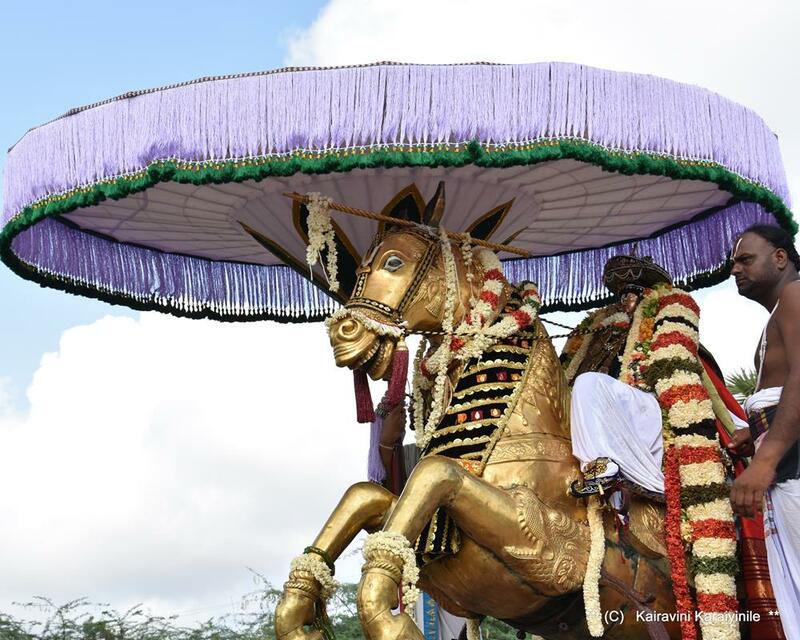 The vigraham when invited by Udayavar walked on its own and sat on the lap of Udayavar. Marking this, on sixth day of Udayavar Uthsavam - Emperumanar alights Kuthirai vahanam donning white silk. At Sriperumpudur, his Delhi visit symbolises visit to this place on way to Kanchi. 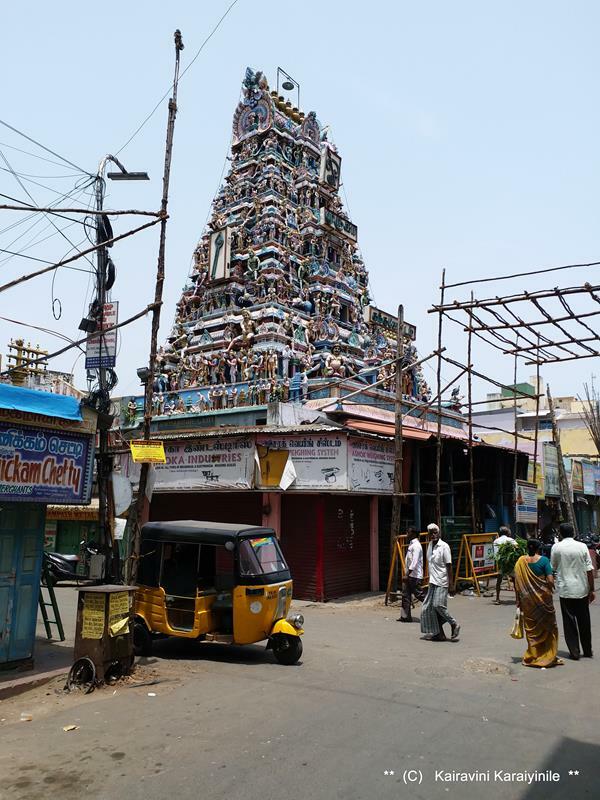 Similar festivity takes place at Triplicane also. By some historical accounts, these events took place at his ripe age around 80. For those who fall at the feet of Udayavar and who takes care of the disciples of Udayavar, there would never be any hardship. Yet it makes us sad to read of those dark events when even our Acaryar and his sishyas more specifically Koorathazhwan and Periya nimbi underwent untold sufferings .. .. .. the purappadu of Kurathazhvan in a pallakku made us grieve more for those sufferings of our Acaryar for our sampradhayam. Though blinded in that unsavoury incident, Koorathazhwan ensured that Yathi Rajar moved safely to Melukote, lived a complete life, devoted in service, with malice to none; in fact seeking good for the traitor too. Koorathazhwan (Srivatsankamisrar), gifted us five important stotras, popularly known as Panchastavam. These are Sri Vaikunta Stavam, Athimanusha Stavam, Sundarabahu Stavam, Sri Stavam and Varadaraja Stavam. Before ascetic life, he was a very wealthy person not only endowed with riches – more so with atma gunas and took care of needy by feeding thousands daily. He was never attached to the material riches and the World. 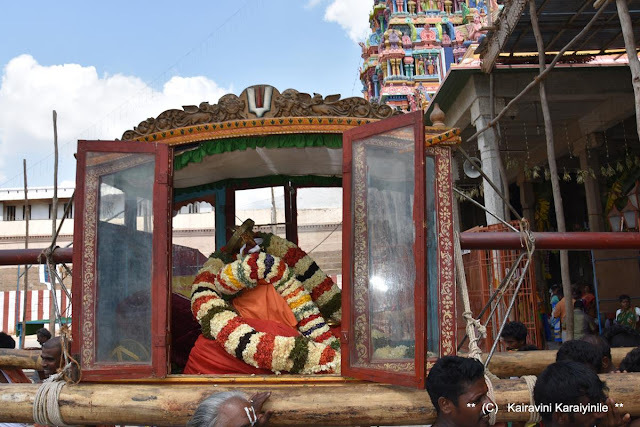 He lived a long life of more than 120 years and in 1132, Sri Koorathazhwaan ascended to Sri Vaikuntam, 6 months before Sri Mudaliandan attained Vaikuntam, in service of Lord Ranganatha & Swami Ramanuja. With his head on Pillai azhwaan's lap, lotus feet on Andal's lap (Azhwan's wife) and hand on Parasara Bhattar's lap, thinking about Swami Ramanuja's lotus feet, azhwaan attained Sri Vaikuntam. It is our fortune that we are in the lineage of such great Acaryas and have the fortune of worshipping them and reciting the holy works of Azhwar, Acharyas. சித்திரையில் செய்ய திருவாதிரை நம் உடையவர் அவதரித்த அற்புத திருநாள். அவரது உத்சவத்தில் ஆறாம் நாள் காலை வெள்ளையுடை உடுத்து குதிரை வாகனத்தில் எழுந்து அருளுகிறார். நம் சுவாமி இராமானுசன் வெள்ளையாடை தரித்த அன்று கூரத்தாழ்வான் காஷாயம் தரித்தார். நம்மிராமாநுசன் யதிகட்கெல்லாம் அரசன் ~ கூரேசனோ குடும்பஸ்தர் - என்னே விந்தை .. .. அல்ல, ஐயகோ, வேதனை அது. நமது வைணவ திருக்கோவில்களில் பிரம்மோத்சவத்தில் - குதிரை வாஹனம் சிறப்பானது. எனினும், முனிவர்களின் அரசன் யதிராஜராஜர் வெள்ளை சாற்றுப்படி - குதிரையின் சிறப்பை எடுத்து உரைப்பதல்ல - அது ஒரு அதி முக்கிய நிகழ்வு. 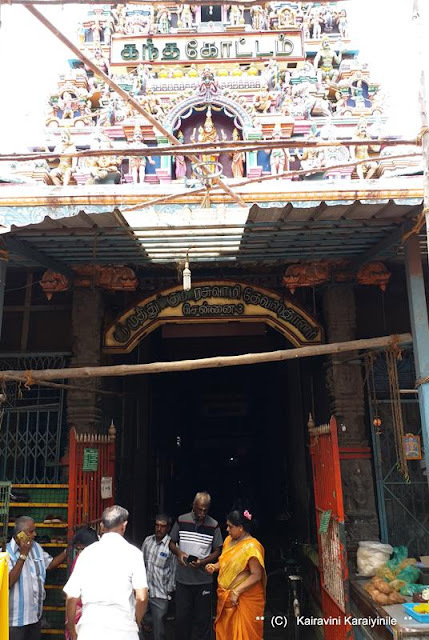 காரேய் கருணை இராமானுஜருக்கும் ஸ்ரீ வைஷ்ணவத்துக்கும் சுமார் ஆயிர ஆண்டுகள் முன் நடந்த துயர நிகழ்ச்சி தான் இதற்கு காரணம். எம்பெருமானாரின் அருளுரைகளால் அவர் திக்விஜயம் சென்ற இடங்களில் எல்லாம் ஸ்ரீ வைணவர்கள் பல்லாயிரக்கணக்கில் அவரடி பரவின காலம் அது அல்லவா ! வைணவம் திக்கெட்டும் பரவி, அரங்கன் புகழ் அனைவரும் பாடி, அடியார்கள் பெருகி வாழ அரங்கநகர் வளர்ந்த அக்கால கட்டத்தில், ஒரு பெருந்துன்பம் ஒரு வெறி பிடித்த மன்னன் ரூபத்தில் ஏற்பட்டது. சோழமண்டலத்தில் கங்கை கொண்ட சோழபுரத்தினை தலைநகராகக் கொண்டு வைணவத்வேஷம் கொண்டு "குலோத்துங்க சோழன்" என்னும் மன்னன் ‘சிவாத் பரதரம் நாஸ்தி’ (சிவனுக்கு மேலான தெய்வமில்லை) என்று அனைத்து மதத்தினைச் சார்ந்தவர்களையும் - ஏதேனும் ஒரு உபாயத்தினை பின்பற்றியோ அல்லது வலுக்கட்டாயப் படுத்தியோ, நிலைநாட்டிக் கொண்டிருந்தான். வைணவத்தின் தரிசனத்தின் தலைவரான மகாஞானியான இராமானுஜர் ஒப்புக் கொண்டாலே ஒழிய தாங்கள் நினைப்பதை சாதிக்கவியலாது என்று வெறிகொண்ட மன்னன் திருவரங்கத்திற்கு தன் ஆட்களை அனுப்பி இராமானுஜரை அழைத்துவர ஏற்பாடுகளைச் செய்தான். இராமானுஜர் சோழ மன்னனின் சபைக்குச் சென்றால் தீங்கு நிச்சயம் என்று உணர்ந்த கூரத்தாழ்வான் ஆழ்வான் மற்றும் சீடர்கள், வடதிருக்காவேரிக்கு நீராட சென்று இருந்த உடையவரது காஷாயத்தினை ஆழ்வான் தரித்து உடையவருக்கு வெள்ளை அங்கி அணிவித்து பத்திரமாக எழுந்துஅருள ஏற்பாடு பண்ணினார். வெள்ளை ஆடைகளை அணிந்து எம்பார், முதலியாண்டான், நடாதூராழ்வான், பிள்ளான்,வடுகநம்பி, கிடாம்பியாச்சான், வில்லிதாஸன் போன்ற அந்தரங்கமான சீடர்களுடன் காவிரிக்கரை ஓரமாகவே மேல் திசை நோக்கி பயணித்தார். இராஜ்ய சபைக்கு சென்ற கூரத்தாழ்வானுக்கும் பெரிய நம்பிக்கும் மிகப்பெரிய துன்பம் ஏற்பட்டு, மஹாபூரணர் தன் உயிர் மாய்த்ததும், கூரேசன் தன் கண்பார்வை இழந்து பலவருடங்கள் பிறகே எம்பெருமானாரின் முயற்சியால் அருள் பெற்றதும், தனி வரலாறு. 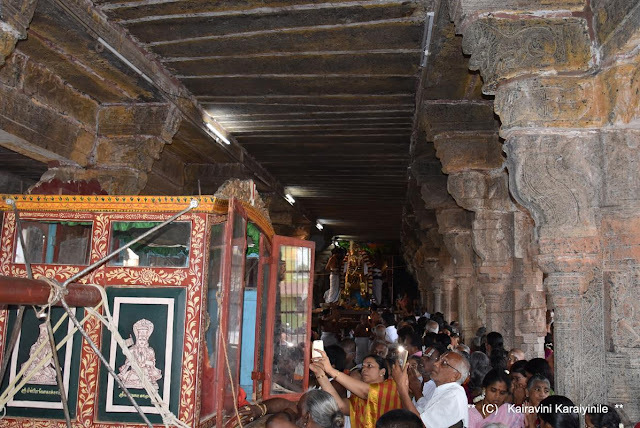 இந்தத் தனியனில் ஸ்ரீ கூரத்தாழ்வான் , குரு பரம்பரையைக் கூறுகிறார். ஸ்ரியப்பதியான லக்ஷ்மீ நாதன் முதல் துவங்கி, குரு பரம்பரை மத்தியில் ஸ்ரீமந் நாதமுநிகளை விளித்து - அஸ்மத் ஆச்சார்ய பர்யந்தாம் என்று பகவத் ராமாநுஜர் வரையில் சொல்கிறார். ஸ்ரீ கூரத்தாழ்வான் ,காஞ்சி மாநகரின் வடமேற்கே அமைந்துள்ள கூரம் என்கிற அந்நாளில் பெரிய நகரமாக விளங்கிய இடத்தில் கி.பி. 1010ம் ஆண்டு, தை மாத ஹஸ்த நக்ஷத்ரத்தில் அவதரித்தார். 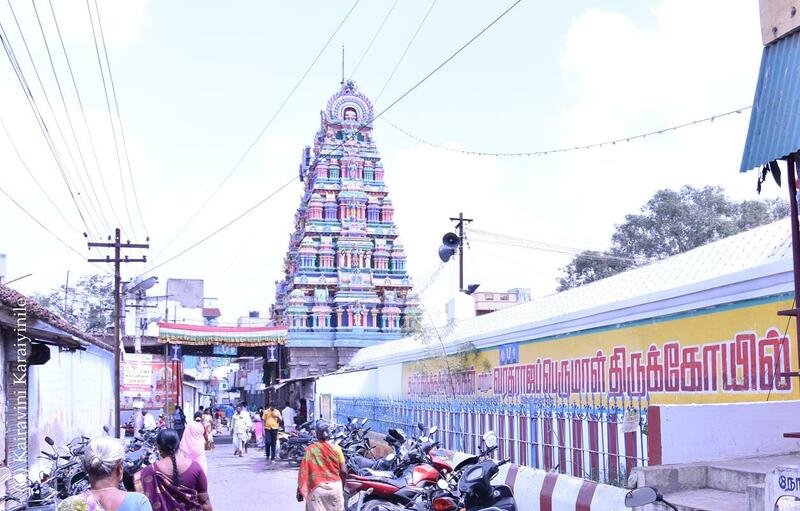 .ஸ்ரீ வத்ஸமிச்ரர், செல்வச் செழிப்பில் மிதந்தவர். பகவானிடம், அனவரதமும், அத்யந்த பக்தியுடன் விளங்கினார். இதனால்,செல்வத்திலும், சுகபோகங்களிலும் பற்று அற்று எல்லாச் செல்வங்களையும் ஸத்கார்யங்களுக்கும், வறியோர்க்கும் வாரிவழங்கி, ஸதாசார்ய சம்பந்தத்தைத் தேடி காஞ்சிக்கு வந்தார். ஸ்ரீ பராசர பட்டர், ஸ்ரீ வேதவ்யாஸ பட்டர் -இவர்களின் திருத்தகப்பனார். நிகரில்லாத வைராக்யமும்,நெறியும் எம்பெருமானார்க்கு இணையான ஜ்ஞானமும் கொண்டவர். எழில்நகர் புகழ்க் காஞ்சிக்கு வந்த இவர், அங்கு பரம ஞானியாக விளங்கிய நம்மிராமாநுசமுனிகளின் திருவடிகளைச் சரணம் என்று அடைந்து, அவரிடம் கூடவே இருந்து சேவை செய்து இன்புற்றார். வைணவத்தின் சிரம திசையில், நாலூரான் தூண்டுதலால், சோழ மன்னன், ஸ்ரீரங்கத்துக்குச் சேவகரை அனுப்பி, யதிராஜரை அழைத்து வரச் சொல்ல, கூரத்தாழ்வான், தானே காஷாயம் தரித்து, பெரியநம்பிகளுடன் அரச சபைக்குச் சென்று, ”த்ரோண மஸ்தி தத :பரம் “‘ ( முகத்தல் அளவையில்,சிவம் என்றால் ”குறுணி” ”த்ரோணம் ”என்றால் பதக்கு ) என்று எழுதிக் கையெழுத்திட , அரசன் ,கூரத்தாழ்வானின் கண்களைப் பறிக்க சேவகர்களுக்குக் கட்டளையிட, கூரத்தாழ்வான் ”உன்னைப்போன்ற பகவத் த்வேஷிகளைப் பார்த்த கண்கள் எனக்கு வேண்டியதில்லை” என்று கூறி, தன்னுடைய கண்களைத் தன் கையாலேயே பறித்து, அரசவையில் வீசி எறிந்தார். பின்னாளில் எம்பெருமானருக்காக காத்திருந்து, அவரருளால் பிரார்த்திக்கும் போது கூட, தமக்கு கிடைத்த பாக்கியம், தமக்கு தீமை செய்த நாலூரானுக்கு கூட கிடைத்திடல் வேண்டும் என விரும்பியவர். திருவல்லிக்கேணி ஏனைய திவ்யதேசங்களில் - 'உடையவர் வெள்ளை சாற்றுப்படி புறப்பாடு சேவித்துள்ளேன் ~ ஆறாம் உத்சவம் அன்று ஸ்ரீபெரும்புதூரிலே 'உடையவர் வெள்ளை பட்டுடன் குதிரையில்' ஆரோஹணிக்க - கூரேசர், காஷாயத்துடன் பல்லக்கில் புறப்பாடு கண்டு அருளினார். 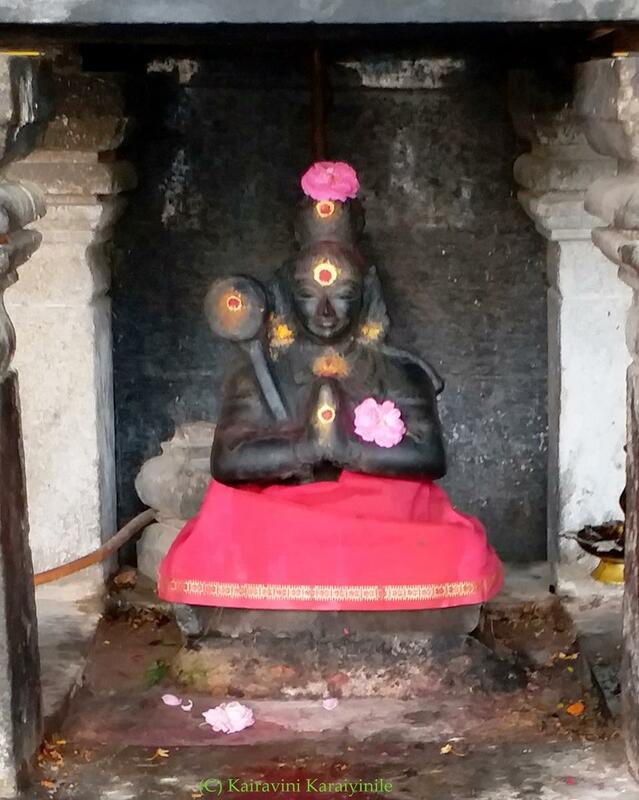 கூரத்தாழ்வான் ~ ஆசார்யர் திருவடிகளே சரணம். Today 21st July 2018 is ‘Swathi’ Thirunakshathiram. In the evening there was chinna mada veethi purappadu of Sri Azhagiya Singar at Thiruvallikkeni. Thelliya singar purappadu starts from the western gopuram, through Peyalwar Koil Street, South Mada street – culminates with thiruvanthikappu at Thulasinga perumal koil street. For us, the lotus(red) eyed Sriman Narayana Himself is the medicine; its innate healing power; the Sweet Nectar – the power of wellbeing as well. He is one who made the Universe, swallowed, remade, and went on to measure it, by seeking a gift of three feet of land ….. and to Him we offer obeisance. Away, a search led to the renowned ‘Svati Tirunal’.. .. .. Svāti Tirunāḷ Rāma Varma (1813 – 1846) was a Maharaja of the Kingdom of Travancore, British India. He was a brilliant music composer and is credited with over 400 classical compositions in both Carnatic and Hindustani style. A well-formulated code of laws, courts of justice, introduction of English education, construction of an observatory, installation of the first Government printing press, establishment of the first manuscripts library were amongst the many initiatives taken by Svāti Tirunāḷ, as a King, to modernise Travancore. 'Efficiency was the key word and corruption a taboo', according to the article The Monarch Musician in The Hindu. Oh the repository of compassion, who resides in an arbour on the banks of the river Yamuna. The melody of your flute captivates my mind. This melody has held the celestials, the people sages and the women of Vraj under its spell. I am fascinated by your effulgent form adorned with feathers of peacock ,ear pendants and yellow silk. Your glory is being sung in the Dasamaskandha of Bhagavata. It is You who lifted the Govardhana mountain with the tip of the little finger. You are Lord Padmanabha relining on the serpent couch. You are Murari who destroyed a host of demons. A couple of decades ago, there was a film on legendary ‘Swathi Thirunal’ directed by Lenin Rajendran. It starred Anant Nag in the title role, Srividya, Nedumudi Venu and Murali in other important roles. The story begans with Gowri Lakshmi Bayi entrusting the four-month-old Swathi Thirunal Rama Varma to the care of the English East India Company whose representative was Col. Munro. Then it cuts to when Swathi Thirunal is sixteen and takes over the reins of Travancore from his aunt Gowri Parvati Bayi. Swathi Thirunal's biography is was put in the backdrop of the music that he himself has composed. The movie ended with his death in 1846. Today [21/7/2018] being Swathi nakshathiram, there was purappadu of Sri Azhagiya Singar at Thiruvallikkeni .. .. .. immediately after, there was the procession of madhwas wherein HH Sri Swami of Pejawar mutt was taken in a chariot. Lord Krishna is the supreme God. Of His many temples, one at Udupi is unique. Udupi Sri Krishna Matha is a famous one – the matha area resembles a living ashram, a holy place for daily devotion and living. 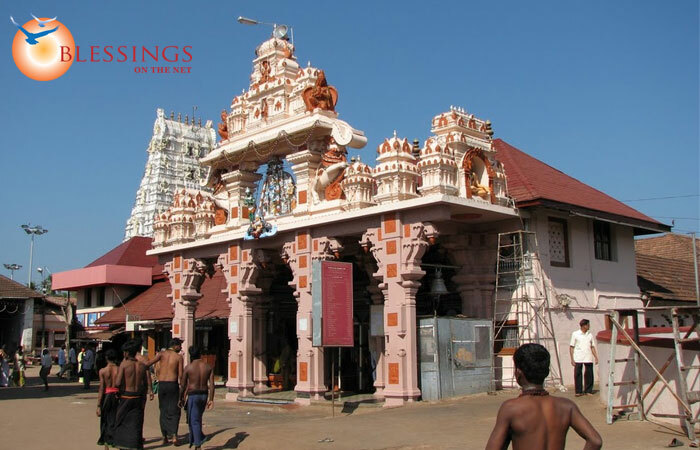 Surrounding the Sri Krishna Matha are several temples. 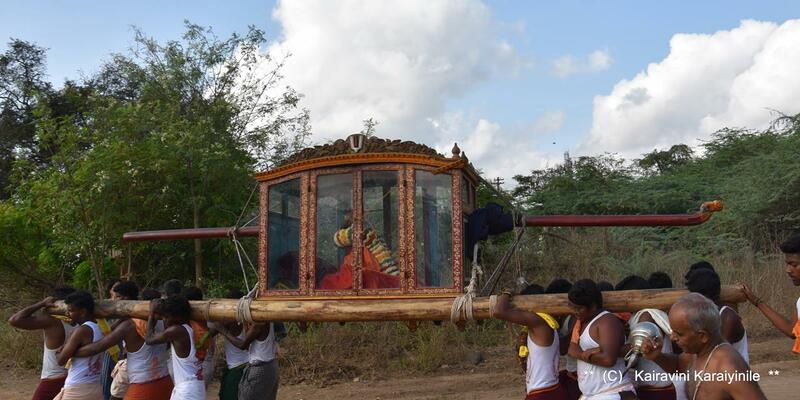 Udupi is one among the 7 Parashurama Kshetras i.e. the places created by Sage Parashurama. According to our religious history, Parasurama created his land out of sea and that includes coastal areas including Udupi. In Sanskrit,Udupa means moon. Chandra prayed Lord Shiva here to get rid of a curse. Pejavara, is a small village in Mangalore taluk of Dakshina Kannada district. The primary matha of Pejavara matha, one among Udupi's eight matha. 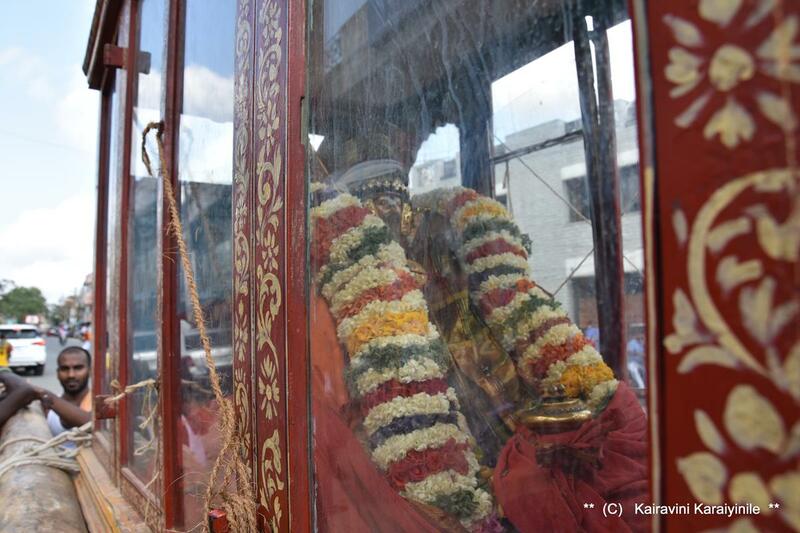 Sri Vittala, given by Madhvacharya is the presiding God here. The present pontiff Sri Vishvesha tirtha is the 33rd pontiff in the lineage, who was initiated in his 8th year in 1938. According to the tradition, at Udupi, each of the eight yati's , perform shri krishna pooja for two months and hand over the responsibility to next yathi, called as Paryaya. Shri Vadiraja extended the period of two months to two years. Paryayotsava often takes place on January 18. 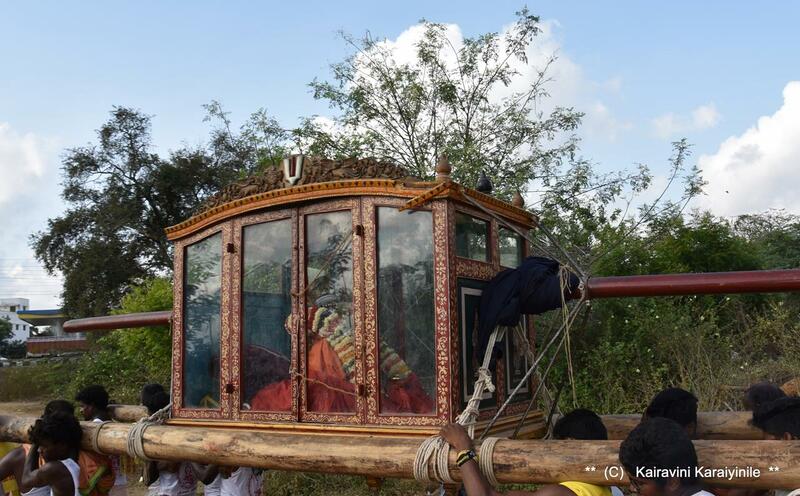 His Holiness Sri Vishvesha Tirtharu assumed first paryaya, turn to worship Lord Krishna at Udupi, at a young age. During his first Paryaya in 1954, he organized the All India Madhva Conference in Udupi. During his second Paryaya in 1968, he got the Badagumalige in Udupi repaired. During his third tenure as Paryaya Swamiji in 1984, he has got a new hall built at Udupi called Krishna Dhama. 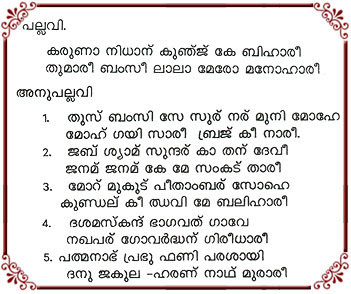 He has completed five Paryayas and only one to complete five Paryayas after Shri Vadiraja Swamiji of Sodhe Mutt. He started his fifth Paryaya on January 18,2016 and completed it on January 18,2018. The Seer visited Thiruvallikkeni today after completion of 5 paryaya and was taken around the madaveethis in a chariot - it was indeed a blessing for all of us to have his darshan. At Thiruvallikkeni divyadesam, Kodai Uthsavam for Sri Parthasarathi perumal is now on and on day 4 of Kodai Uthsavam, it was chinna mada veethi Kulakkarai purappadu for Sri Parthasarathi who was exceptionally beautiful adorning another different crown. Thirumazhisai Piran minces no words in telling us that He who wields the discuss (Chakra) is the Supreme; everything in Veda and our sacred epics is bespoken of Him ~ for all those mediating He is the ultimate and surrendering to His lotus feet is the only thing that would benefit us all .. .